Yes, that's right ladies - today we're going to talk about bras! Why? You don't think bras are important? Try telling that to someone who is currently wearing an uncomfortable, worn out, or poorly sized bra. Yeah, it's horrible. It looks weird under clothing, it constantly distracts you, and it irritated you to no avail. A good bra is super important because when you feel good you will be in a better mood and your energy will radiate off of you. Confidence starts underneath your clothing, seriously. Did you ever wear a brand new pair of adorable undies? You strut your stuff don't ya? Even though no one can see what you're wearing under there.. you still feel special. So it's the same with a bra. So The Gendel Girls created the Breezies Perfect Shape Side Smoothing T-Shirt Bra. It's a brand new silhouette designed to smooth and shape in all the perfect places and it stays cool because of their patented fabric as well as discreet under any top! That's my new go-to bra. I love love love how flattering it is. 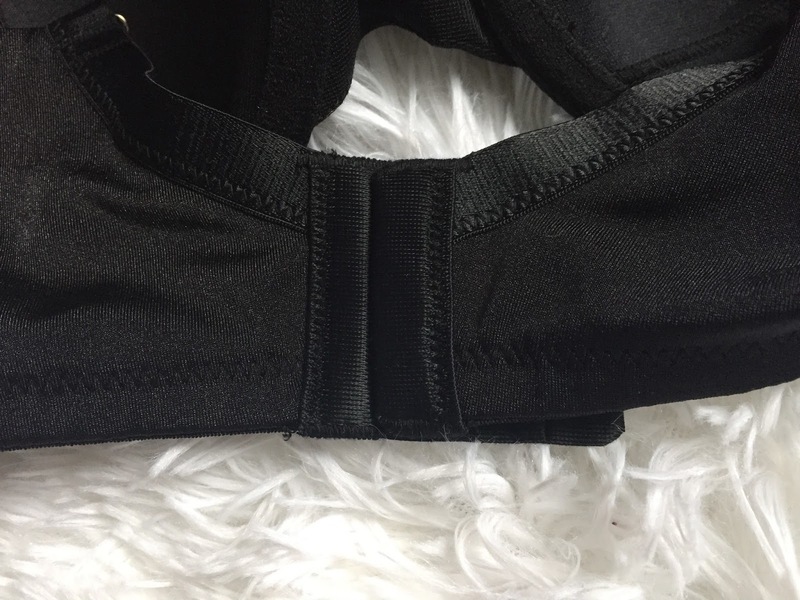 So here are a few things to look for in a bra, and yes, they just happen to be all the things my new bra has. This is probably THE most important thing with a bra. Honestly, if you aren't sure of your size just go to a lingerie store and have someone that works there size you. This is a size chart from Breezies. You want to make sure you don't have any gaps on the side. You also want to make sure you actually fill out the cups. Like I said, an expert can help you figure out your size. Make sure you like any embellishments on the bra, and you like the size of the straps, and any design on the actual bra itself. I like mine plain and discreet under clothing so this T Shirt Bra is obviously ideal for me. It's also super comfortable and I forget I'm even wearing a bra. That's the whole point isn't it? You don't want something that scratches, pinches, or squeezes. Obviously you want a bra that you can adjust, but you also want a sturdy clasp. I love the thickness and the sturdiness of the Breezies Perfect Shape Side Smoothing Tshirt Bra. It's perfect for me. I don't ever have to worry about it coming undone. I love the fabric because it's shimmery and soft. There's great support in the cup but it's only lightly padded so it gives lift and support. So what do you look for in a bra?